Health Canada recently released a report that details the general public’s commentary on cannabis regulation. This report includes details from the public’s online participation, along with the results of several roundtable discussions. Health Canada’s recommendations regarding cannabis regulation have been reshaped due to this input. Although Parliament is ultimately responsible for approving or declining the proposed Cannabis Act, the Canadian government is in the process of reviewing Health Canada’s proposed regulatory changes. The information in this article highlights some of the most noteworthy findings from Health Canada’s 60-day public comment period. None of these things have become law yet, but they’re likely to influence Parliament. Commercial Outdoor Cultivation – Supported allowing indoor and outdoor cultivation for commercial purposes as long as proper licences and permits are in place. Starting Material and Access to Plant Genetics – Commercial growers must have wide access to plant genetics and various starting materials in order to compete with the illegal market. Multiple Licences at a Single Site – The public doesn’t support this idea due to fears that it would easily expose the system to abuse. The final law hasn’t been decided yet. Security Clearances for Major Shareholders of Privately-Held Companies – The public pointed out that simply requiring security clearances for shareholders with 25 percent or more of a company could easily be thwarted by moving shares around. 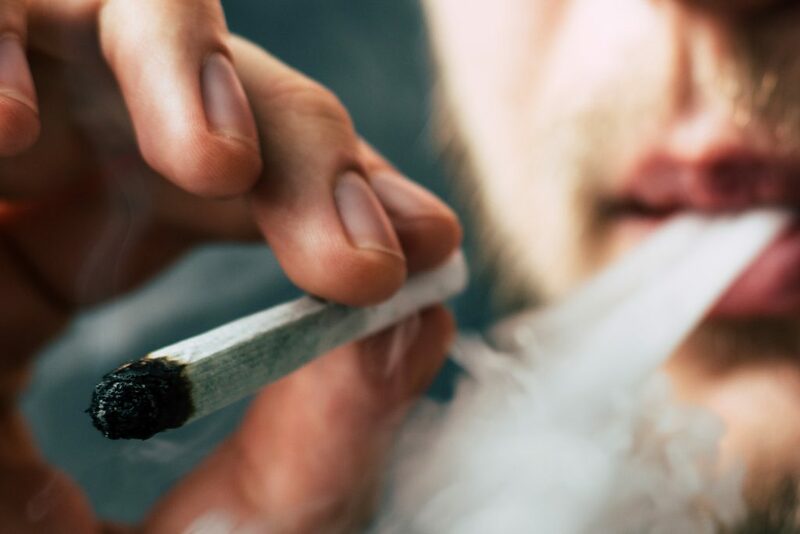 In response to this concern, Health Canada is now looking at alternative methods such as requiring financial information from all licence applicants. No general consensus was met regarding the definition of micro-cultivators. However, everyone’s responses were combined with the government’s stated goals, which led to a few proposals. Multi-Cultivation Licence – Plant cultivation canopy area can’t be bigger than 200 square metres. Micro-Processing Licence – Can’t process more than 600kg of dried cannabis or its equivalent per year. Licence holders must be able to pass security clearances. 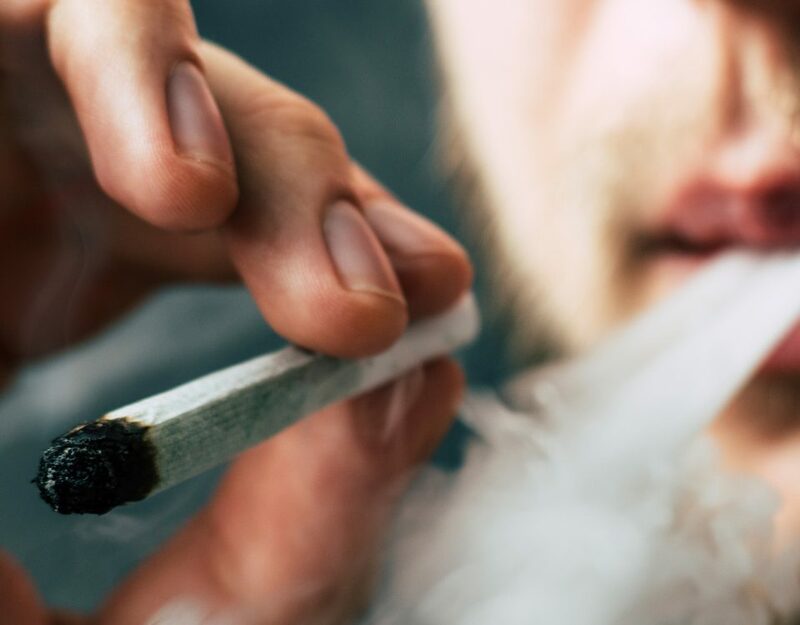 However, the public also indicated that people with a non-violent criminal past shouldn’t necessarily be barred from obtaining a legal marijuana cultivation licence. This change is being considered by Health Canada. A National Cannabis Tracking System has been proposed to help track cannabis through the supply chain. The general public doesn’t support any proposals that limit what forms cannabis and cannabis oil can be used in. Reactions to a proposal that cannabis oil be limited to a THC concentration of 30mg – and only 10mg for edibles – was mixed. The public is supportive of allowing cannabis to be distributed as an edible. The Cannabis Act will include a final decision on these matters, and it’s expected to be released within one year. 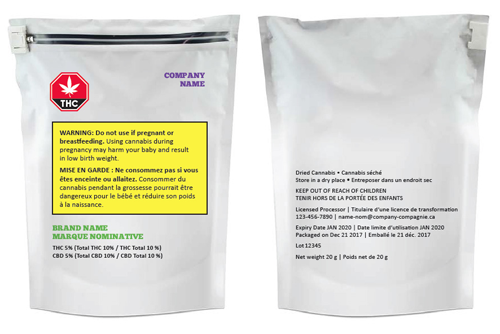 A standardized cannabis symbol placed on every package/label. Mandatory health warnings about six topics. Information about the CBD and TCH content of each item. Branding will be kept to a minimum. Labels and packages must use a single colour. No inserts are allowed in the packages. Metallic and fluorescent colours are prohibited. No embossing, coating, cut-outs, foil, texture or peel-away labels. Access to medicinal cannabis would continue for everyone who is under a doctor’s supervision, including those who are under the age of 18. Patients will have the right to purchase from sellers who are federally-licenced, designate a grower or grow their own (if they’re 18 or older). There’s a lot of support for the plan to regulate health products and cosmetics via the existing Food and Drugs Act. The proposal does give a bit of leeway to certain health products. However, all of these items would be regulated in terms of display purposes to help prevent children from accessing items made with cannabis. Public respondents pointed out that the current proposed definition of cannabis accessories is too vague. They proposed a change that would clarify what is, and isn’t, considered a cannabis accessory. This was particularly aimed at removing growing supplies such as pesticides, fertilizers and other gardening supplies from the list. Health Canada is in the process of putting together an amended proposal for this topic. It’s too early to say whether or not these proposals will all be adopted by Parliament. If they are, you can expect to see very specific rules enforced regarding packaging, labelling and holding a licence. The government’s primary stated intentions, are to prevent cannabis products from being used by children, track the flow of legal cannabis and ensure that anyone who buys a cannabis product knows exactly what they’re getting.